Stampin’ Up! 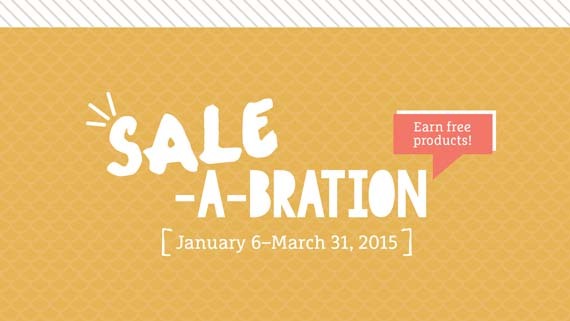 Sale a Bration is a GO! Well it’s here! 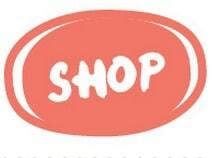 The biggest promotion of the Stampin’ Up! Calendar and this year, for us in Europe, it’s almost a whole month earlier than usual! I was going to keep it really really short and snappy, then decided that wasn’t enough information for you! The products themselves are scattered throughout the catalogue, look for the yellowy ‘FREE!’ over coloured block bars, and you can only get these items for free. As you will know, there are ‘benefits’ when you place an order over £150, where you get £25 to spend on anything you like. This goes up in increments of £30 for a £200 purchase, £40 for a £250 purchase and so on. For this time only, if you place one single order of £200 or more, you will get an extra £20 to spend on anything you like. £50 for free!!!! Part 3 Extra bonus when you join Stampin’ Up! To choose the Kit, choose the Left Hand option, to choose 2 SAB items, select the Right Hand one. By joining SU, you’re able to make future purchases, but instead of buying through me, you buy through yourself, and thus receive an immediate 20% net discount on anything you buy (and the chance to save more based on monthly totals). Of course, you don’t need to actively sell to other people as I do, you can be your own customer, and still receive the same benefits and discounts and perks (yes, there are lots, including access to products at least 1 month before anyone else!) however, if you do fancy selling products, making videos, sharing your blog, or holding classes and parties, then you’re definitely in the right place at the right time. I actually joined Stampin’ Up! during Sale A Bration myself… but as I said, if your shopping list is approaching the £100 mark, you’ve really kind of got nothing to lose. £30 worth of products for free, plus free bonus goodies, free postage, and then 20% net discount of future purchases all the time you’re with SU. 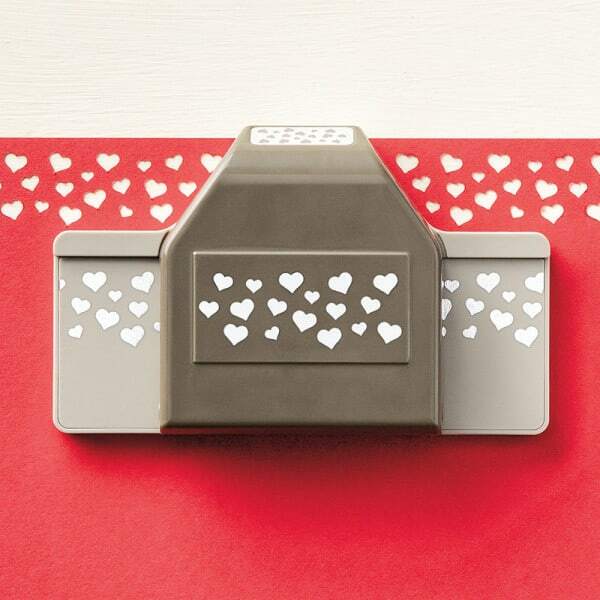 All orders over £150 will receive the brand new Confetti Heart Border Punch from me, inside their regular Thank You Gift Pack. It will come direct from me, as this is an offer direct from me. It will not come with the order you place. ALSO Should anyone Join me today, you too will get a Confetti Heart Punch!